It is crucial for the success of any exchange that the Qualified Intermediary (QI) makes sure it is documented correctly. The closing attorney or escrow officer must read and follow the §1031 exchange instructions provided by the QI. I found that your instructions were very complete and easy to follow, and enabled the escrow to close smoothly. Thank you for all your efforts. The IRS requires a Qualified Intermediary to facilitate a §1031 exchange under the safe harbor guidelines. 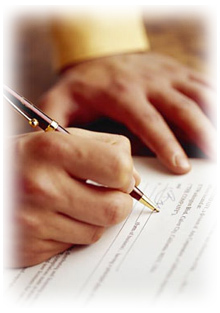 The Intermediary must prepare and send exchange instructions to the closing. Real estate investors need an experienced Intermediary to provide accurate and complete information and documentation, including a thorough review of closing statements and exchange instructions. There is only one chance to do things right. Starker Services can give you the peace of mind available only with the personal and experienced attention we've provided for over 20 years. You are doing a great job to simplify a tax-free exchange transaction for the Title Company. I appreciate you getting the papers to me in advance so that I had time to get any of my questions answered early. Starker Services can handle your client's §1031 exchange and provide you, the closer, with free consultation from the country's oldest and most experienced independently-owned Qualified Intermediary. Call us today at 800-332-1031 to speak to one of our experts and find out just how easy a §1031 exchange can be. We have worked with tens of thousands of closers through the exchange process easily and effectively. Please click here to see sample exchange closing statements.